While most of us who practice bodybuilding are trying to lose fat as we gain muscle, there are some people who are interested in just bulking up; which in simple terms means eating more and training heavier in order to gain muscle weight. 1. A bodybuilder whose metabolism is so great that requires a plan just suited for exclusive muscle gain; the so called hardgainer. 2. A person who practices a sport, such as football, that may require a certain weight. 3. 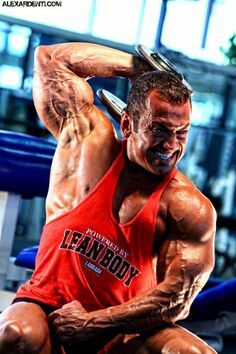 A bodybuilder who simply wants to go up a weight class (if he or she competes) or who simply wants to go on an exclusive muscle gain phase (like most bodybuilders do during Winter). Like everything, there is a right way and a wrong way to do things. 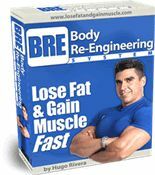 I see many people who in an attempt to gain weight just start eating everything in sight, and thus, either overtax their digestive systems, thus not being able to eat several times a day, and/or simply start gaining too much body fat, as the case is for those without a hardgainer metabolism. In order to gain quality weight, the nutrients taken in have to be of a high quality nature. While some hardgainers have such a fast metabolism that they could benefit from also adding cheat meals to their nutrition plan, the best way to gain weight is through a planned and controlled increase in macronutrient intake. By ensuring that the quality of the nutrients is high (such as low glycemic index carbohydrates, low fat proteins and high quality fats) muscle weight gain is optimized and fat weight is minimized. However, in order for a bulk up phase to be effective, it needs to be executed properly. Otherwise, you end up gaining way too much body fat, which at the end of the day, whether you just want to look good for the beach over the summer or participate at a bodybuilding competition, you will need to lose anyways. In this bulk up/weight gain guide I’ll teach you the bulking up rules to gaining some solid muscle weight while minimizing fat gains. First of all, bulking up is not about eating everything in sight and trying to lift as heavy as possible hoping that all of the increased weight gain will come in the form of muscle. This old school strategy will only lead to excessive fat gain. The best time, in my opinion, to bulk up is after you have been dieting for a long period of time. At this time your body will act like a sponge and absorb all of the nutrients that you give it at peak efficiency in response to the fact that it has not been getting such an influx of nutrients for a while. Also, if you are above 10% body fat, in which case you cannot see your abs, then you need to concentrate on losing body fat up until the point (at the very least) where you can see the top two rows of abs (when you have a four pack). 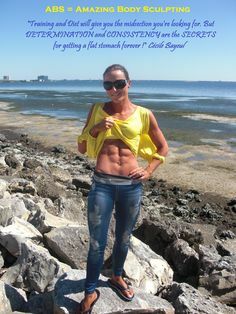 Your bulk up plan will work even better, however, if you get down to where you can easily see your full abdominal wall (which is around 6-7% body fat for most people) as when you increase calories in this state, your body will be more primed to gain most of the weight in the form of muscle mass in response to the low calorie period that came before it. Having said that know that while most of the weight that you will gain will be in the form of muscle, some of it will be in the form of fat no matter how good your diet is. The reason for that is the fact that on a state of caloric surplus (when you feed your body more calories than what is burned) some of those calories are stored as body fat. However, by bulking up on good foods, by training hard and by starting from a low percentage of body fat, you will minimize the fat gain and maximize the muscle mass gain. Bulking Up Basic #1: Increase your protein intake to 1.5 grams of protein per pound bodyweight. Therefore, if you weigh 200lbs, you need to eat around 300 grams of protein per day. I have noticed that if I eat more than 40 grams of protein in one sitting I feel lethargic and have issues digesting the food. Therefore, divide 300 by 40 and that will give you the amount of meals that you need to eat per day. 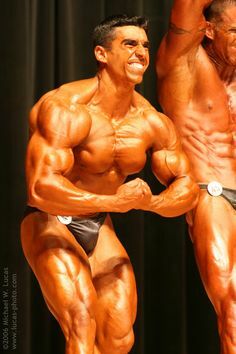 In this example, the 200-lb bodybuilder will need to eat, around 7-8 meals per day spaced out with a minimum of 90 minutes in between meal and a maximum of 3 hours. Protein sources should come from lean low fat sources like chicken, turkey, 93% lean red meats, tuna, egg whites, shrimp, tilapia, mackarel, and salmon. 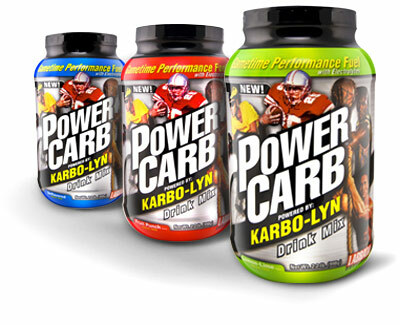 Bulking Up Basic #2: Increase your carbohydrate intake to between 1.5-2 grams of carbs per pound of bodyweight. In order to gain muscle, a carbohydrate increase will be required to keep your energy levels high, and thus fuel your workouts, and in order to help shuttle the amino acids from your proteins into the muscle tissue (since carbohydrates increase insulin levels and insulin is necessary for the transport of the aminos into the muscle). The key thing to ensure that muscle mass is maximized as opposed to fat gain when consuming carbohydrates is to ensure that your intake of them is mostly from low glycemic index ones (slow digesting/released carbs) like brown rice, oatmeal, pasta and sweet potatoes. Limit the higher glycemic complex carbs (like cream of rice) and simple carbs (like bananas) for after the workout when the body needs fast released carbs and proteins in order to quick start the recovery and re-building process and also to help refuel the energy stores (glycogen levels in the muscle and liver) that have been drained. Also, ensure that you eat half of your carbohydrates split between the times that the body is most receptive to them, which is the morning time (first meal) and post workout time. So for instance, our hypothetical 200-lb bodybuilder who is starting his bulk up plan at 300 grams of carbs per day (bodyweight x 1.5), will split 150 grams (half of the daily requirement) between the morning meal and the post workout meal (so that comes to 75 grams of carbs). The morning meal carbs will be complex low glycemic carbs while the post workout meal will be half simple and half complex). The remainder 150 grams will be split in the remainder meals. I always advise to refrain from eating complex carbs after 6:30pm (unless your post workout meal comes after that time) as your insulin sensitivity (body’s acceptance of the hormone insulin) goes down at night and therefore, one runs a higher risk of storing carbohydrate calories at night unless you train, in which case your insulin sensitivity is optimized. Finally, make sure that you have around 15-20 grams of fibrous carbohydrates, such as green beans or broccoli, at lunchtime and 15-20 grams more at dinnertime as these will help to keep your digestive tract clean and ready to accept new nutrients, thus maximizing nutrient utilization. Bulking Up Basic #3: Increase your intake of good fats. Some fats are necessary to ensure good hormonal production and thus muscle growth. Eliminate all fats and see your testosterone levels take a dive. The body needs fats like the Omega Essential Fatty Acids in order to ensure proper hormonal production and brain function. These oils are essential because the body cannot manufacture them and they help with many things like enhanced recovery due to reduced inflammation, enhanced nutrient partitioning due to their ability to neutralize enzymes necessary for fat storage (so this means more calories go toward muscle production and less to fat) and even help with enhancing your mood! In order to get your good fats keep the essential fats at 3 tablespoons per day for guys and 1.5 for women in the form of flax seed oil, fish oils or extra virgin canned olive oil. I split my fats between my two low carbohydrate meals, which are meal 7 and 8. The reason I like to do this is because they eliminate my cravings for sweets at night that come as a result of the reduced carbohydrate intake at this time. Also, if I eat the fats earlier in the day with my carbohydrates, they completely kill my appetite and make it hard for me to consume the amount of carbohydrates that I need to eat. Beginner’s Bodybuilding Workout (3 Days a week) – Excellent for those people with no bodybuilding training experience. In this same article you will find an intermediate routine that you can follow right after you are done with the beginner’s one. Advanced Bodybuilding Workout Using Periodization (3-6 days a week) – This is for the trainee with at least 24 weeks of training experience who is really serious about getting huge muscles. Hardgainers’ Bodybuilding Training Routine – This bodybuilding training routine is designed with the hardgainer’s unique metabolism in mind. It is based on a four day per week routine that combines both higher repetition and lower repetition work in order to stimulate muscle while maximizing recovery. Questions About Aerobics Get Answered – Read about all of the common questions that I have gotten in regards to aerobics. Definitely make sure that you cover at least the basics of supplementation which are a Multiple Vitamin and Mineral formula, 3 grams of Vitamin C split in 3 equal servings throughout the day, 200mcg of Chromium Picolinate, and essential fatty acids coming from either fish oils, flaxseed oil or extra virgin olive oil. Also, for convenience purposes a good weight gainer or protein powder are a great way to add valuable calories and nutrients to your diet. 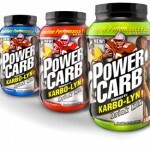 For more information on this subject please refer to my article on Bodybuilding Supplementation Basics. In addition to those basic supplements, I would also recommend Creatine (please refer to my Creatine Basics article) and Glutamine (please refer to my Glutamine Basics article) as these two supplements offer many of the same properties as anabolic steroids (such as increased recovery, increased strength, increased glycogen levels, enhanced immune system and higher nitrogen synthesis) without the side effects as they are not hormones. Do not neglect the important aspect of rest and recovery. You need 7 – 9 hours of sleep each night in order for your body to run efficiently. Deprive your body of sleep and you’ll have lousy fat loss. As a bonus, you also get muscle loss, which in turn lowers your metabolism. You also get deprived hormonal production, which makes it difficult (nearly impossible really) to build muscle and as an added feature you’ll have to deal with lower energy levels, something not conductive to great workouts. The articles below further elaborate on this important subject. The Sleep Cycle – Learn what the four phases of the sleep cycle are and how much on the average you should be sleeping each night for maximum results. Also, see what happens when you neglect your sleep. 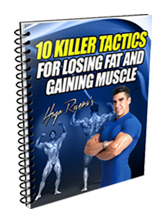 You can continue to bulk up until a level of 10% body fat is exceeded. At that point, calories need to be reduced again to the neighborhood of bodyweight times 12 at a 40/40/20 ratio of carbs, proteins and fats. This is roughly 1 gram per pound of protein, 1 gram of carbs per pound of bodyweight and 1.5 tablespoons of oils for men and ¾ Tablespoon of oil for women. Once again I cannot emphasize enough that when eating more calories than what the body burns on any given day, some of those calories will be deposited as body fat. However, if your training is right on the money, most of the calories will be used for energy and muscle production. Happy bulking!